Happy Friday everyone! I have a very special recipe for you today prepared by my good friend, Aimée Bourque. 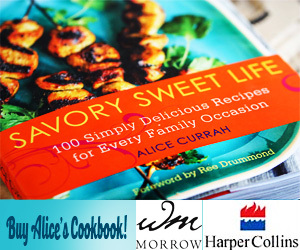 Aimée is a devoted mom and food writer, editor for Simple Bites. 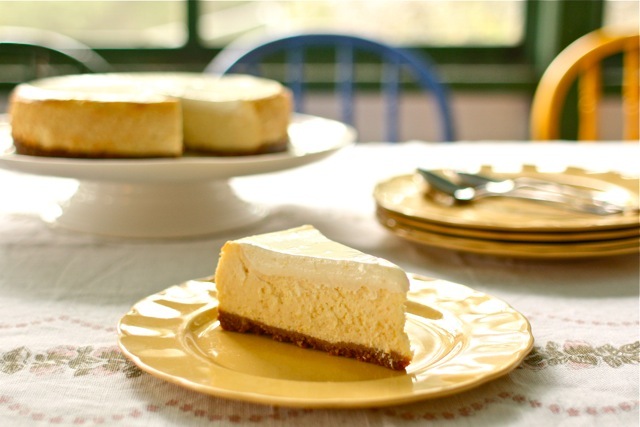 Today she shares with us one of her most popular recipes – citrus cheesecake. I thank you in advance Aimée for what I know will be one of the best cheesecakes, ever! At the age of seventeen, I was working my first restaurant job as the “salad and dessert” girl. I was always the first to get slammed with orders, and later in the shift, as the minutes ticked towards midnight, and the chef was already enjoying a cold beer, I would always have more desserts to plate, even though my feet were ready to call it a night. In between tossing Caesar salads and scooping sorbet, I had the most important job in the house, that’s right, washing dishes. A professional kitchen is a tough environment for anyone, let alone a sheltered teenager. Still, night after night, I just ducked my head and worked as hard as I possibly could; after all, there was an occasional slice of The Cheesecake to hold out for. Although I never made the revered citrus cheesecake at the restaurant, as I arrived at work only for the evening rush, I managed to secure the coveted recipe when I moved on to “pursue other interests”, i.e. a certain boy in Montreal – which turned out to be really handy for getting his attention. Since I ended up marrying him, getting that recipe was probably the smartest move of my entire teenage years. Now, I’ve probably made this cheesecake 75 times over the past 15 years. It has graced the sweet table at baby showers, church luncheons, graduation celebrations and birthday parties galore. No matter the event, it is always a suitable dessert, and no matter the company, no one can resist a slice. Have all ingredients at room temperature. The cream cheese must be whipped into submission, and the best way to do that is to let it sit on the counter for a few hours before you start making this cake. 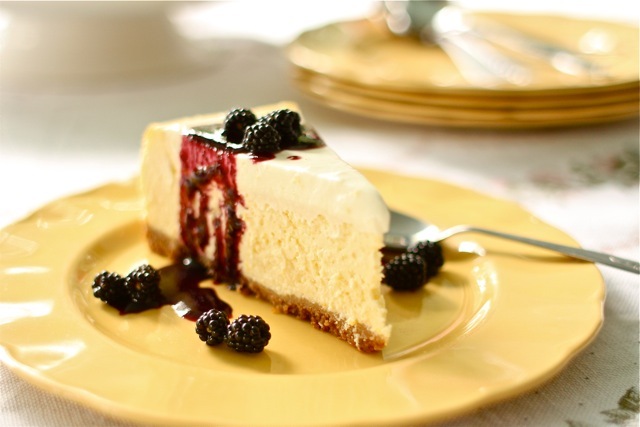 Having room temperature ingredients ensures that the cheesecake will cook evenly, plus it cuts down on the cooking time. Do not overbeat after the eggs are added. Yes, the eggs need to be fully incorporated, but with a light hand! Use a paddle attachment to mix the filling. A beater will incorporate too much air, causing cracks later in the cheesecake. Your best choice is a paddle. Don’t overdo the crust, and pack it well. A cheesecake that is one-third crust is no fun. I keep it fairly thin, but sturdy, and do not push the crust up the sides of the cheesecake. For a simple way to tamp the crust down, I use the flat bottom of a water tumbler. Cool at room temperature, and then chill. And chill well! 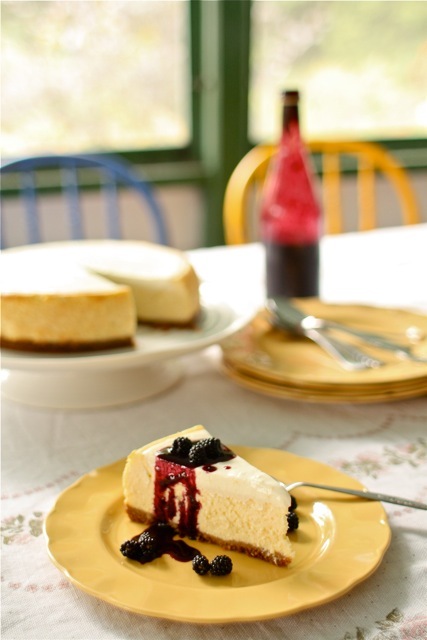 Ideally, refrigerate the cheesecake overnight before serving. Use a hot knife to cut the cheesecake. To get a pretty and tidy slice, run a sharp knife under hot water, give it a quick wipe with a clean tea towel, and then slice the cheesecake. Repeat process for each cut. This cheesecake needs no embellishment, but should you wish to dress it up, it pairs beautifully with fresh berries, or, my favorite, homemade blueberry syrup. Makes a 9-inch round, serves between 8 and 16, depending on how generous you are. In a small bowl, combine graham cracker crumbs and sugar. Add melted butter and mix with a spatula until butter is evenly distributed. Dump into a nine-inch spring-form pan. Shake the pan to distribute the damp crumbs evenly, and then pack down well. Bake crust for about 8-10 minutes until slightly golden. Cool. In the bowl of a stand mixer with the paddle attachment, beat together cream cheese and sugar until smooth. Add sour cream, citrus zest and citrus juice. Mix well. Remove from oven and run a sharp knife around the sides, but do not remove ring. Cool for 15 minutes on the counter. Combine sour cream, citrus zest, citrus juice and sugar together in a small bowl. Pour over slightly cooled cheesecake and let stand for half an hour at room temperature. Cover cheesecake pan tightly with plastic wrap, taking care not to disturb the surface of the cheesecake. Chill for at least four hours or overnight. Remove plastic wrap and lift off the outer edge of the spring form pan. If desired, side a sharp knife under the crust and slide the cheesecake off the spring form base and onto a cake stand or serving platter. Using a hot knife, as suggested above, slice the cheesecake into portions and serve. Enjoy! Cooking has always been Aimée’s preferred recreational activity, creative outlet, and source of relaxation. After nearly ten years in the professional cooking industry, she traded her tongs and clogs for cookie cutters, cloth diapers and a laptop. On her blog, Simple Bites, she loves nurturing others in the kitchen, to help elevate cooking from chore to muse. She writes from the gastronomical hotspot of Montréal, Canada, where she lives with her husband Danny and sons, Noah and Mateo. How much in grams are the Graham cracker crumbs, for us non americans? Baking a cheesecake reminds me of my mother-in-law’s famous recipe. Hers also calls for the cake to be baked in a spring form pan, but it also calls for it to be baked in a warm bath. Is that not necessary with yours? Also, I do not own a stand mixer. Should I invest in one? Can I not use an electric hand mixer to achieve the same result? I love Aimee & cheesecake! What a wonderful combination of flavors. Cheesecake is definitely my weakness! I would love a huge slice of this right now! Fabulous! I am always curious about cheesecakes and the temperature of the oven. I have made cheesecake in 500F degree oven and then 200, or just simply in 350 degree oven. For me they turn out the same. Know the difference? Congratulations on making one of the top food blogs! Nummy!! I adore cheesecake, but then again I’m cheesy 🙂 I can’t wait to give this one a try. I like the orange along with the lemon.